Children living in homes where there is parental substance abuse can find life difficult, unpredictable and confusing. Sometimes they even believe the alcohol or drug abuse is their fault. Dealing with the chaos and unpredictability of their home life, children can receive inconsistent messages. They can feel guilt and shame trying to keep the family "secrets." Often they feel abandoned due to the emotional unavailability of their parents. If the family breaks up because of substance abuse, or if the children are removed from the home, some become withdrawn and shy while others can become explosive and violent. They often develop issues with self-esteem, attachment, autonomy, and trust. What do you tell children when one or both of their parents are alcoholics or addicts? How do you explain the chaos? First and foremost, because trust is almost always an issue, you tell them the truth. Children need to know that their parents are not "bad" people, they are sick people who have a disease. When they are drunk or high, sometimes parents can do things that are mean or things that don't make sense. Children must understand that they are not the reason a parent drinks too much or abuses drugs. They did not cause the addiction and they cannot stop it. Children need to realize that their situation is not unique and they are not alone. Millions of children have parents who are addicted to drugs or who are alcoholics. They need to know that even in their own school, there are other children in the same situation. Children in homes with substance abuse need to know that it's okay to talk about the problem, without having to feel scared, ashamed or embarrassed. They no longer have to lie, cover up and keep secrets. They should be encouraged to find someone that they trust — a teacher, counselor, foster parent, or members of a peer support group such as Alateen. 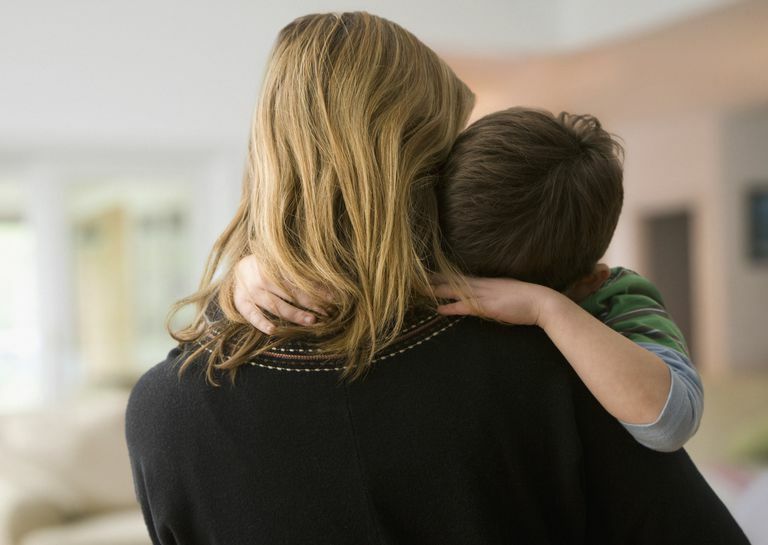 The National Association for Children of Alcoholics suggests that children dealing with family addiction learn and use the following "7 Cs of Addiction:"
Children from homes where there is parental substance abuse are often scared, lonely and many times feel isolated from society. Whether you deliver the message perfectly or not, giving them someone with whom they can talk is an important step in their recovery. Breshears, E.M., et. al. "Understanding Substance Abuse and Facilitating Recovery: A Guide for Child Welfare Workers." U.S. Department of Health and Human Services. Rockville, MD: Substance Abuse and Mental Health Services Administration, 2004. National Association for Children of Alcoholics. It's Not Your Fault! (PDF). 2006.